What is Fit Tea? Is it safe? Ingredients My results How to use it Where to buy Fit Tea? My fiancee is a fitness machine. He can do his garden variety of impressive stunts, and looks like a freaking roman statue. Me? I am different in many ways. I like to keep duck-tape solutions in my back pocket. If more can be done with less, I’m game. So, whereas he routinely underestimates supplementing as a way of controlling weight and energy levels, I’m betting him dollars to doughnuts that it will work. Homemade teas, selected ingredients, and tricks only a lazy person such as myself could’ve acquired over the years… He eventually learned not to smear. 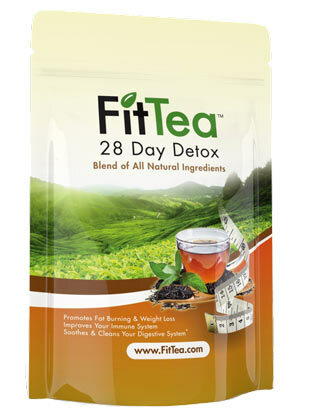 The reason I’m writing this Fit Tea review is because I’ve tried detox teas and supplements of different kinds. Some ended up costing me an arm and a leg, and then some minor chronic problems I’ve carried along for months. So, given how my fiancee’s site – this site – has a fairly large reach, I’d like to address this hype that’s building across Instagram, and try to filter all of the noise, seeing what is what. 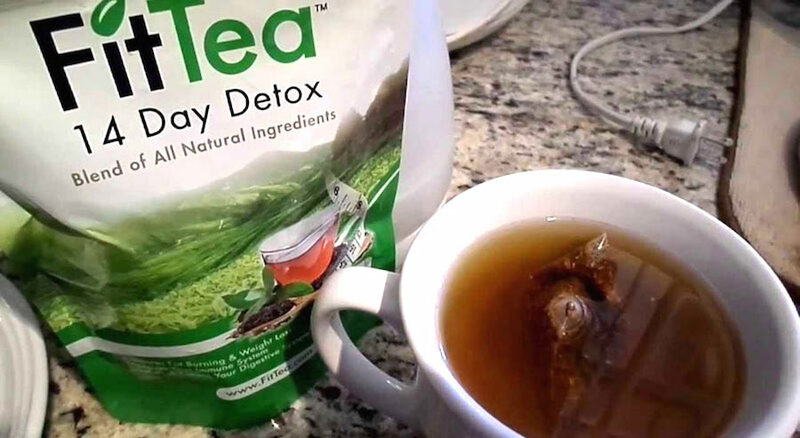 I’ve tried Fit Tea for 14 days (the smaller pack), and this review goes over everything you need to know about this new and trending detox tea. Before we carry this Fit Tea review towards my verdict, let’s first see how marketing describes it. Fit Tea is a detoxifying blend of organic ingredients, meant to speed up your metabolism, boost your energy, and help you with your weight loss. 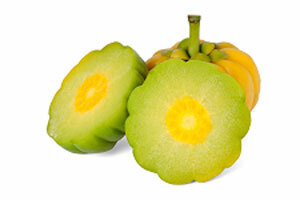 Due to some of the ingredients, it also improves digestion, boosts the immune system, and suppresses appetite. This description alone, coupled with Instagram celebrities taking pictures is what started to build Fit Tea into a seriously large trend. But let’s collectively overcome such bias, and start from the beginning. This is the first thing I really care about. Because when you burn yourself once, you start getting irrationally fearful. However, no need for worries here. 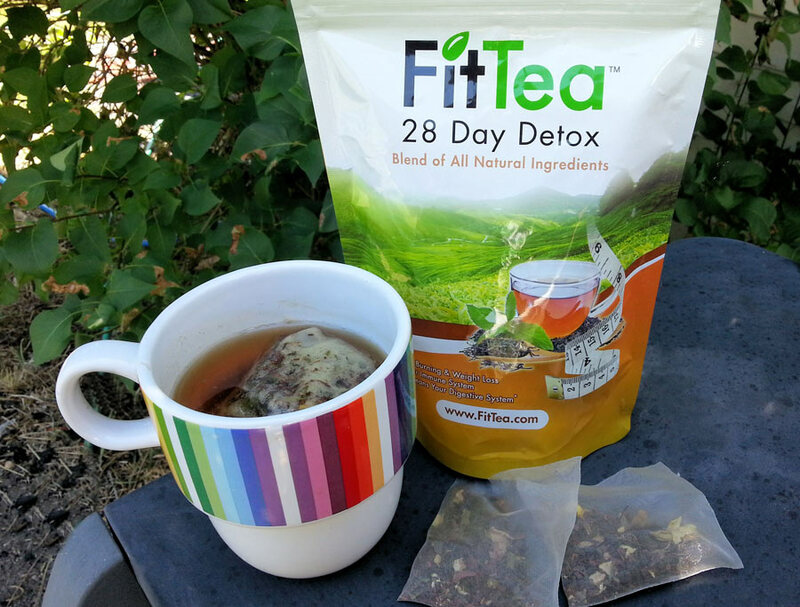 Fit Tea consists of organic ingredients, all of which come from organically certified suppliers. It is made in USA, non GMO, soy and gluten free. Bottom line, it seems safe to use. Some of them I’ve heard about before, others I’ve googled. Most however have been used in Asian culture for centuries, traditionally for holistic medicine. Blending such herbs is how people in most mountain regions have treated flu and other conditions that affect the stomach, digestive tract, and consumed them for everyday use in general. No wonder they live longer, and stay healthy. this one comes first. 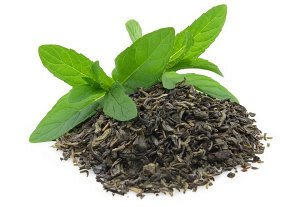 From what we know by now, green tea provides a metabolic rate increase of up to 4%. It also provides the caffeine we see listed in Fit Tea. Even more importantly, it increases the process of thermogenesis, causing cells to increase energy expenditure and body fat oxidation. In other words- it burns the fat. This one lowers the risk of heart disease, cancer and osteoporosis. In addition, it positively affects mental alertness, and further helps in speeding up the metabolism. The one you’ve already heard about. Its natural ingredient, the HCA (hydroxycitric acid), is responsible for suppressing appetite and preventing fat composition, turning it instead towards glycogen (an energy source). 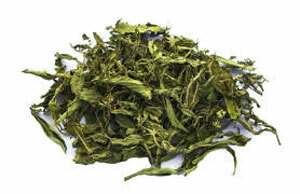 This one can cause a crazy boost in your metabolic rate, and has the same thermogenic properties as the green tea. Additionally, it will help with digestion, and serve as a natural diuretic, thus forcing your body to flush out more water and slim down effectively. Helps in lowering LDL cholesterol, while rising HDL cholesterol. 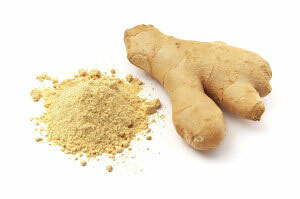 Often described to have anti-inflammatory and anti-viral properties. 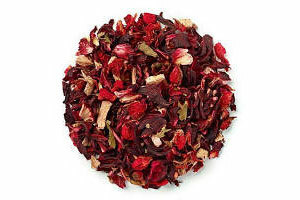 The immune system boost which Fit Tea is promoting – if there at all – is primarily thanks to this one. If there is one thing you need to take away from this Fit Tea review, let it be this. Stevia is your friend. It reduces your sugar cravings, contains no carbs, and is a natural sweetener with no calories. It will make you eat less, while giving you more of a sweet taste than honey ever will. Amazing times. I started using Fit Tea 20 days ago. Ordered the 14 day pack, and once it arrived I haven’t missed a day since. First of all, I love the fact that you can stop and start again whenever you want. Other workout and weight-loss programs keep insisting otherwise, and I cannot really picture myself inviting additional pressure cookers into my daily routine. So extra brownie points for that. First of all, I’ve noticed my appetite decreasing only slightly. Still great, so I cannot complain there. I’ve lost 5 pounds in 14 days – for which I suspect the most of it was water- without any change in neither my diet nor exercise. Fat tissue is noticeably down a notch- I look slimmer, and my stomach looks flat all of the time. Another thing I’m very happy about is digestion improvement. Here is why – I’m practicing and learning to become a Gestalt therapist, and if you know a thing or two about Gestalt, you probably know that it will have you sitting with a group of people, in a circle, involving some periods of silence here and there. Now picture your stomach going bananas while everyone else is being silent. Horror, right? Well, you don’t know the half of it. However much I value skinny and whatnot, this is what I’m most happy about. It’s like my digestive tract has just underwent a 2.0 update. Happy times. My energy has improved, but not in the sense of having extra up my sleeve, but rather not experiencing any down periods throughout the day. Maybe it’s by chance, cannot tell – gotta test this thing further. My blood pressure is more regulated… Long story short, my fiancÃ© invited me to appear on his new workout program, and I ended up having great time, toning my body, and losing some weight. All went great, and one week after we finished filming, I felt confident enough to try a cross-country 5k race. Injured my knee, and had to stop working out for a while. So being summer and all, and outside temperatures trying to be funny by being 400 degrees, my blood pressure started going down at times. I don’t know whether it’s coincidence or not, but things are steady now. Oh, and last week I overate with my fiancee (he knows to be a chronic overeater – and I envy him for looking fit regardless) and found out that after a morning cup of Fit Tea I felt way better. He was a wreck for the day, and I felt more or less normal. So now he wants to start drinking in order to feel lighter for some of his heavy workouts. We’ve already ordered another pack (the 28 day one this time). All in all, Fit Tea is working – more or less, depending on how wild your expectations are – in line with what you’ve been told to expect. 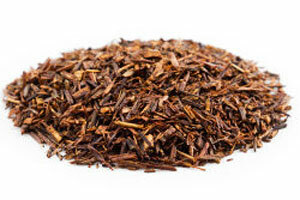 The way I see it, it is an organic tea which you take daily, and it does a lot more than slimming your waist down. Besides, this is not a one-time detox solution. You can continue to use it even after your goals are being met, as your daily maintenance drink. 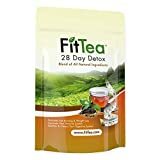 How to use Fit Tea for best results? First of all, drink one cup per day. You also have to stay hydrated throughout the day, and cut down slightly on other drinks you used to fancy. Coffee and alcohol usually come to mind. The optimal solution would be to exercise 3-5 times per week, but judging by my experience, if you are after a minor fix, you can do without it. The tea cup comes in the morning (one teabag, 3-5 minutes in nearly boiling water), with or without breakfast, cold or hot (I prefer cold – letting it cool down in the fridge for about 10 minutes). Another thing you can do is add lemon or honey – or even better – agave juice as a honey replacement. Besides, stevia, remember? Don’t overcomplicate things… It’s tea, nothing more. Over time, results start to pile up. Include it as a part of your balanced and healthy lifestyle and you will see even better improvements. This can help you in many areas, but don’t expect magic to happen if you are living inside the frame of unhealthy habits. Overeating, sedentary lifestyle, excess junk food, forgetting to pay the sandman… You have to understand that though Fit Tea will help you by boosting your energy, speeding up your metabolism, and suppressing appetite… you’ll still have to cooperate some in order to have amazing results. You’ve probably noticed Fit Tea in some of those Instagram celebrities’ photos, but don’t forget that they work out as well, and try to lead a healthy lifestyle in general. While on this subject, allow me to insert a shameless plug… We are building an amazing workout program. One that is customizable for anyone and everyone. Length, minutes, weight loss, intensity, muscle definition, endurance… Everything is customizable and powered by a very smart algorithm. My fiancee has reviewed fitness workouts (like the Piyo review or Core De Force review) for more than 5 years, coached for a while and knows his stuff. My sister – who is also on board – was a fitness bikini competitor. Me – I’m a proof that this is doable and sustainable… The other person on board is very skilled in coding and user experience, so he’s making sure that what we are building is unlike anything else on the market. We’ve just launched our own fitness program – Fitness Updated. Start right away with the FREE 7 day trial, without a credit card needed. Back to the Fit Tea review now, and sorry for promoting my work so shamelessly. What to know before purchasing Fit Tea? Given how I ordered an extra bag, choosing the 14 day pack at first was a mistake. I should have gone with the bigger one right from the start. Also, there are different packs to choose from. My advice is to go with the 28 Day Pack. They have an extra fat burning pack, a starter pack, Pro Pack etc. Try your hands at the tea first, and then experiment further if you’d like. I for one don’t have much interest in things other than the tea itself. The 14 day pack is the same, only you save slightly when you buy the bigger 28-Day one. Where to buy Fit Tea from? You can find it on Amazon of course. 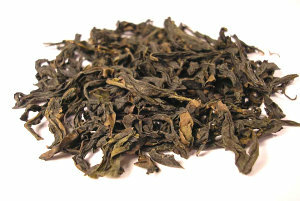 As for value – it’s worth the price even as a new replacement for your ordinary tea. Having everything else in consideration – it’s a real bargain, and the best duck-tape solution for losing weight and detoxifying your system on a budget. If you decide to start with Fit Tea, the comment section is below, so drop us a line and share your experience as well. 8 opinions already. What's yours? 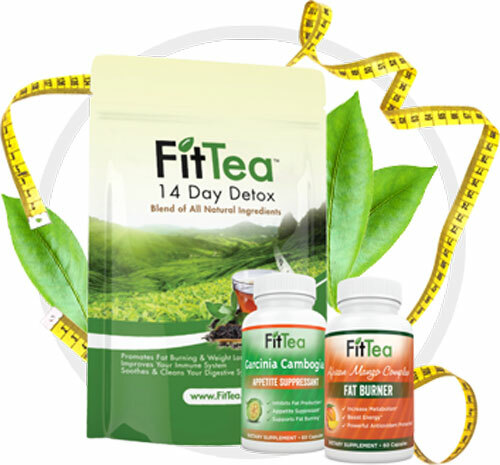 Hi everyone, I bought FitTea 14 day detox. I was taking it for 3 days, every morning. On day 1 I felt ok. On day 2 my stomach got bloated. On day 3 it got bloated even more. On day 4 I woke up with swollen eyes and face, my arms and legs were itchy and inflamed. I had to run to the hospital emergency department and found out that I had a severe allergic reaction for those unusual tea ingredients. Result: 7 days of steroid treatment! Girls, be careful before starting with this tea. Don’t trust those colorful marketing advertisements. Read about each and every ingredient and do a full research. If you see some new ingredients which you have never eat or drink before, I would not suggest to experiment. Also, each ingredient separately can be good, but when you combine them together in one tea bag, this what might cause a problem. The only way to lose weight without any side effects is sport and healthy lifestyle! I wasn’t sure about this product at first, but i thought id try it. I usually eat healthy and i work out 3 times a week, but I never could get rid of side belly fat no matter how hard i worked out. FitTea really has helped me! it made me feel energized but to an extent. i always get tired in school even with sleep and i always crave food right as school ends but FitTea has helped me maintain it. Its helped clean out my digestive system. i feel amazing by day two I could tell a difference in my stomach, from the water weight of course, but this tea did wonders for me! Defiantly going to make another purchase, recommend this to people out there wanting to lose those few extra pounds. 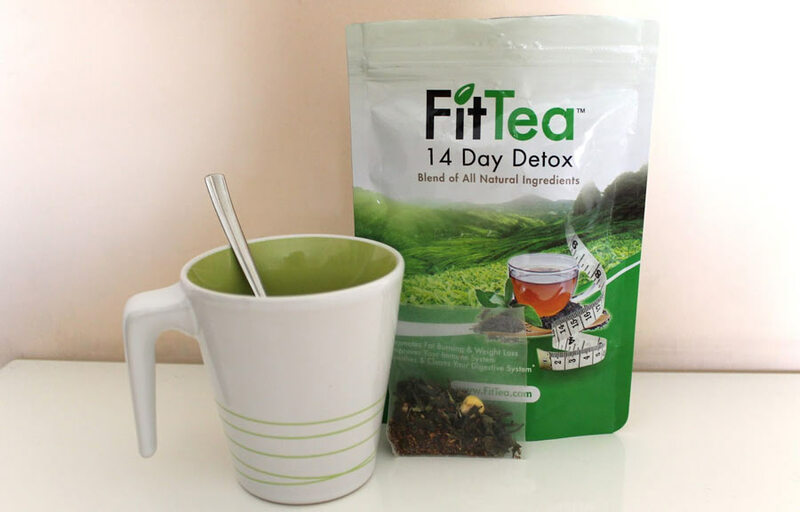 I have bought the 14 day fit tea and I ordered the 28 day one a month after. I wanted to first see if this actually worked. This tea made me feel better and more energized. I’m not a tea drinker, but this tea is pretty good compared to other ones I have tried before. I would drink it in the morning or before a workout if I didn’t have time before going to work. I workout 3-5 days a week depending on how busy my week is. I really like this tea. The taste is nice, you won’t need to add anything to it. It does boost your metabolism and yes it keeps me from being bloated which I love. I have tried the Your Tea (TInyTea) before prior to trying fit tea. I would say fit tea is a lot better just because the taste is tolerable, you on need to drink it once a day unlike the skinny tea ( you take it 3 times before meals ) I mean who has time for that? I’m on my 5th day of the 28 day, so for now I don’t really have a number of how many pounds I lost, but I do feel good about myself. First of all, they have since added an expiration date to the packaging. The one I have says it expires 12/20/2018 so over a year from now. I found the date on the back. The taste isn’t too bad. I added Stevia to mine to sweeten it up without guilt and it tasted fine. Since I’m only one cup into my 2 week journey I can’t speak to the effectiveness of it but just wanted to let everyone know there is in fact an expiration date. NEVER ORDER FROM THE FIT TEA WEBSITE. After ordering from the website in November we were informed that it would take up to 40 business days to arrive, after waiting this long we were informed that our package had been lost by the company after emailing them multiple times and finally getting a response. After being informed that our package was lost we kindly asked for a refund or if they could send our package again since we spent about $80 on this product, we got no response for a few weeks. We decided to keep emailing them and then they finally responded again saying that we would be getting a refund in 2-5 business days. This was not the case. We have still been constantly emailing but there has been no action taken on their part. If you’re thinking of ordering this product use Amazon! It came in about a week but honestly, this product isn’t the best and you can probably find a better detox method. I had the same experience than you, did you get back your money or something ? Walmart carries fit tea for a much more reasonable price. It’s located in the OTC pharmacy area with the weight loss products.